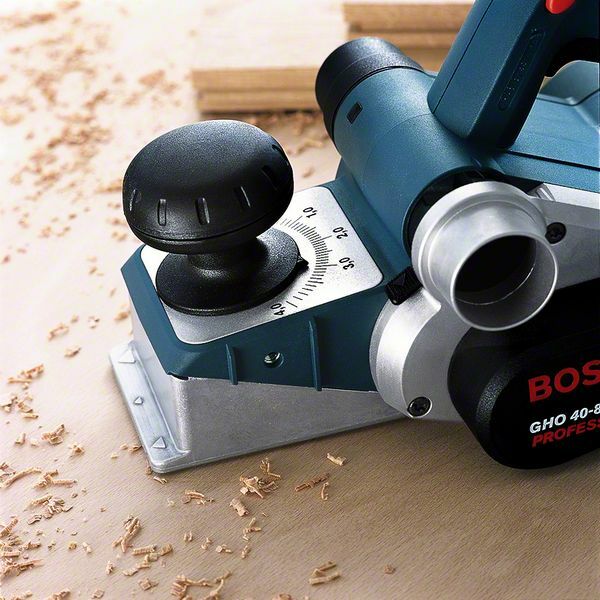 The GHO 40-82 C Professional corded planer produces excellent surface results. 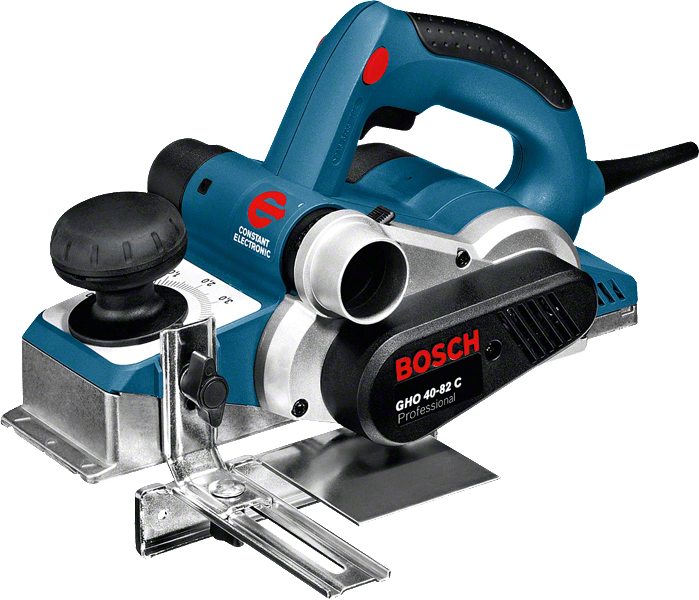 Its Constant Speed feature and ultra-sharp blades combine for outstanding planing performance with high surface quality. 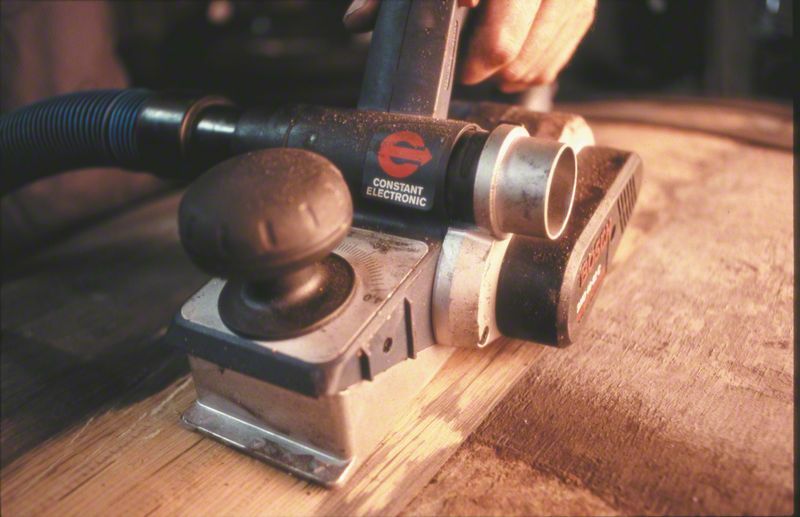 Furthermore, its easy depth adjustments provide quick and convenient work. 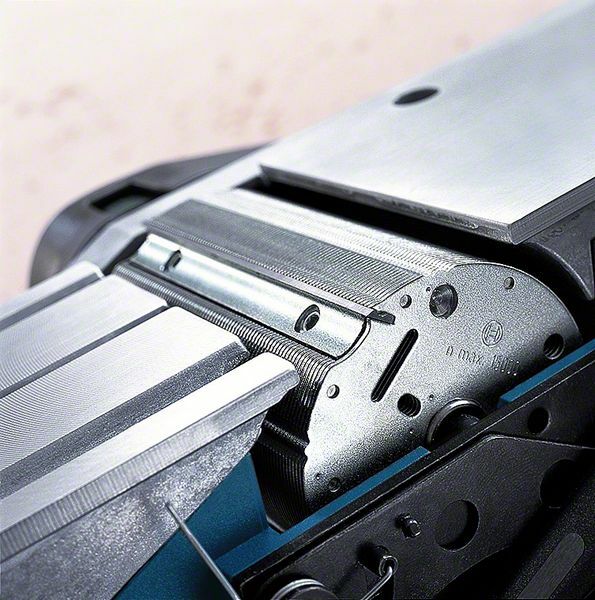 The planer also features a precise aluminium-bearing seat and thermodynamic motor protection for an impressively long performance lifetime. 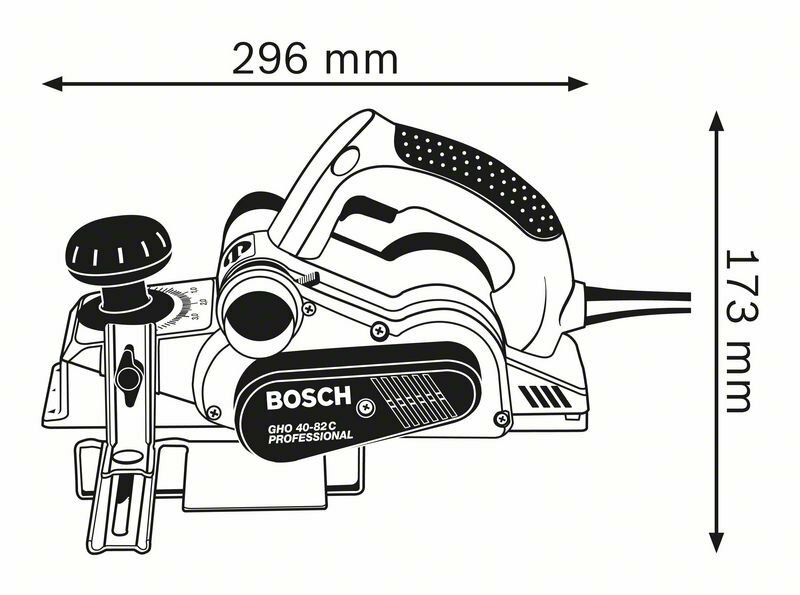 This tool is intended for wood planing. 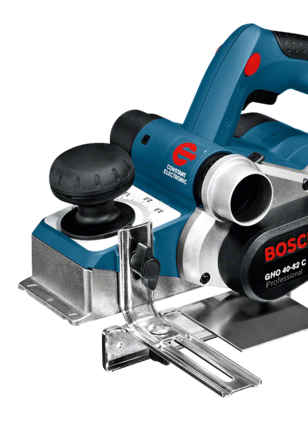 It is compatible with various dustbags and edge guides as well as the Bosch Click & Clean dust extraction system. The GHO 40-82 C Professional also includes a Wood Razor blade.